On February 8, University of Hawai‘i at Mānoa College of Education (COE) alumna Cynthia Tong received the Horace Mann Award for Teaching Excellence at the NEA Foundation’s Excellence in Education Awards gala in Washington, D.C. One of NEA Foundation’s most prestigious awards, the Horace Mann Award is bestowed upon educators for their diligence and dedication to students, colleagues, community, and profession. Along with a $10,000 prize, recipients are automatically in the running for an additional $25,000 prize. Tong, who earned a Professional Diploma in secondary education from the COE, is an eighth grade social studies teacher at ‘Ewa Makai Middle School. 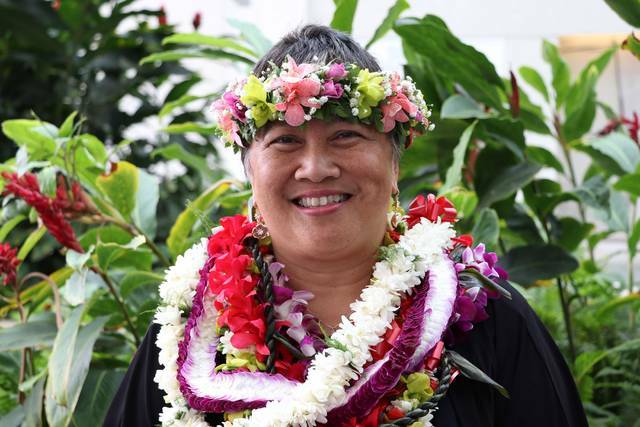 Nominated by the Hawai‘i State Teachers Association (HSTA), an NEA affiliate, she is one of only five educators selected nationwide and the second Hawai‘i educator to win the award.